Swim in the beach, play at the water park, go camping, trips to theme parks and museums—there’s an unending list of fun summer activities that kids look forward to. It’s no secret that as parents, it’s hard to sneak in daily educational activities that will keep them learning while on vacation. The guilty pleasures that kids anticipate during summer makes them snub books and worksheets. Summer slide, a term that KQEd News describes as the “summer learning loss”, refers to the skills that students gained during the school year that melt away with the heat. Summer slide occurs with all subjects. 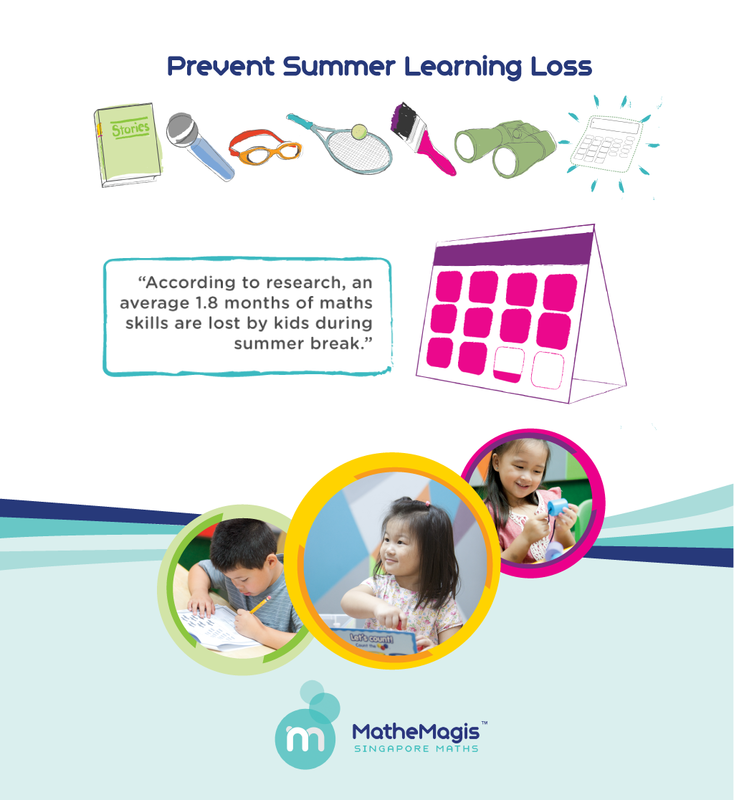 However, according to research, an average of 1.8 months of maths skills are lost by kids during summer break. Summer slide on maths is very steep compared to other subjects like reading. As what Linda Gojak, President of the National Council of Teachers of Mathematics (NCTM) said, reading can be a part of a kid’s daily life, while maths can’t be used by kids that much during summer, unlike adults who compare prices when shopping and compute for everyday expenses. If math skills are not practiced during summer, you lose math knowledge. Since children have a wonderful picture of a happy and carefree summer, their focus is on fun and not on books. Researchers strongly suggest that kids undergo a math summer program not only to help them keep their math skills, but also to nurture their confidence in math. 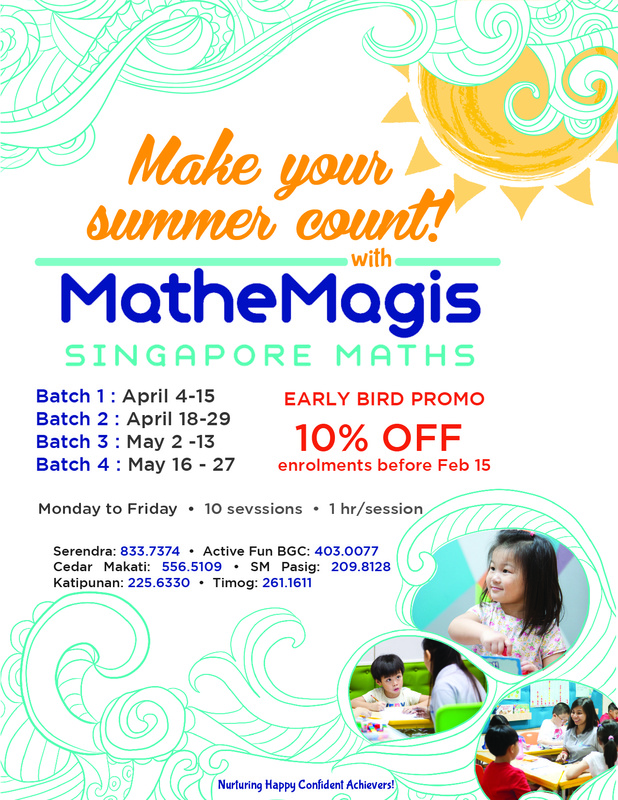 Prevent maths summer slide with Mathemagis Singapore Maths Summer Programs, for 4 year-olds up to grade 6 students. Register online here http://bit.ly/1VF2nmV and get a 10% discount when you enroll on or before Feb 29. Make your Kids’ Summer Count! 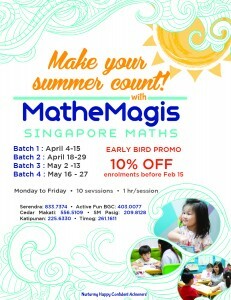 Enrol now to enjoy discounts.